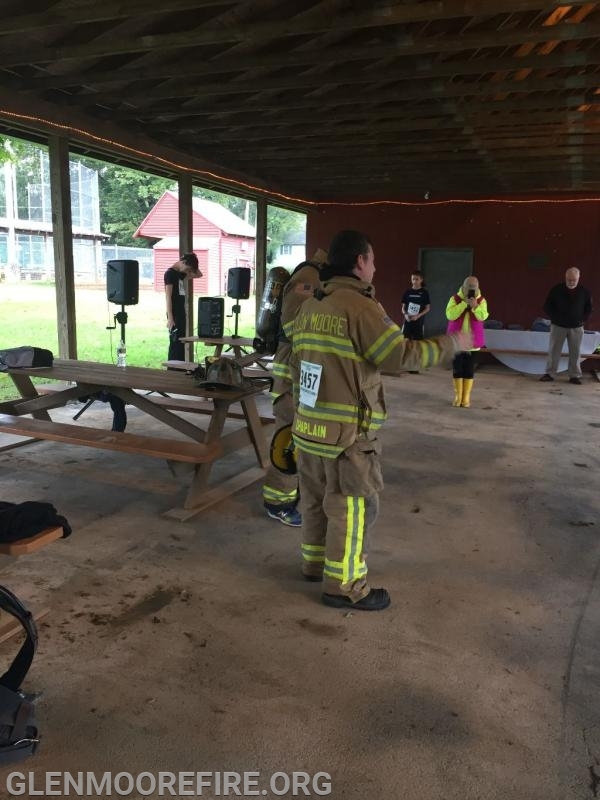 On Saturday morning, several members of the Glen Moore Fire Company participated in the Wallace Trust 5K. The mission of the Wallace Trust is to bring attention to open space and to assist with the preservation of open space in Wallace Township. 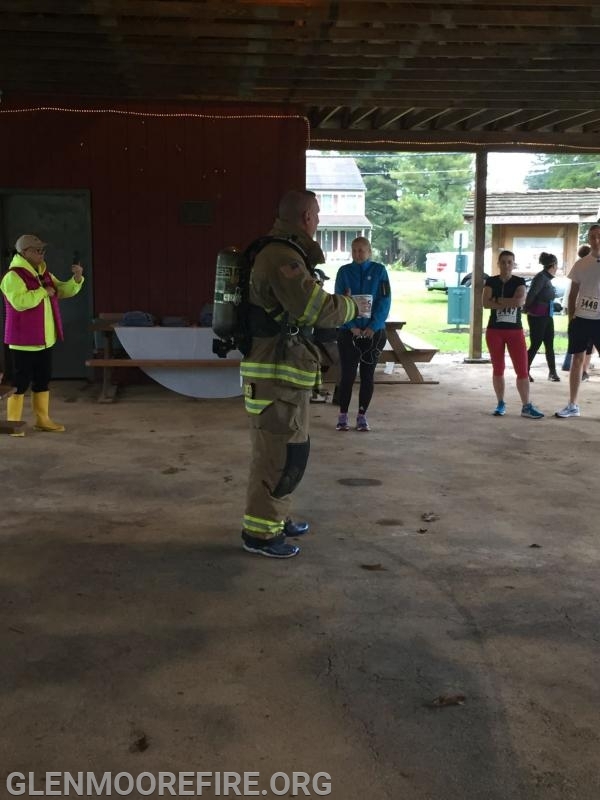 This year the fire company partnered with the Trust to include a firefighter fitness challenge as part of the 5K. The goal of the challenge was to bring awareness to firefighter fitness and to draw attention to the physical demands of firefighting. 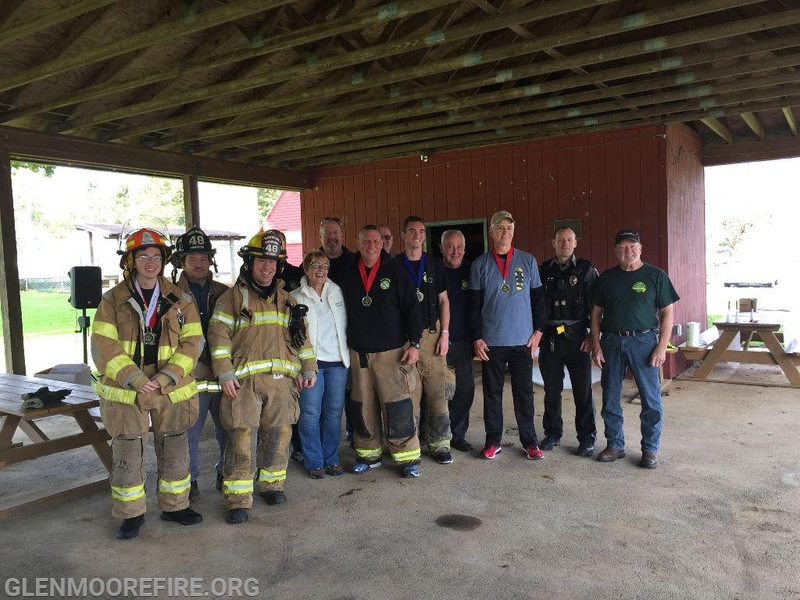 Six members of the fire company participated in the 5K. Several walked and others jogged. Most did the 5k in full gear. All the participants commented that the walk was challenging and definitely made them think about the fitness level that is needed to do this job. The Glen Moore Fire Company and Wallace Township have had a longstanding and excellent relationship. Both have supported each other with the intent of providing high quality emergency services to the township. The fire company would like to thank the township for allowing us to be a part of this event. 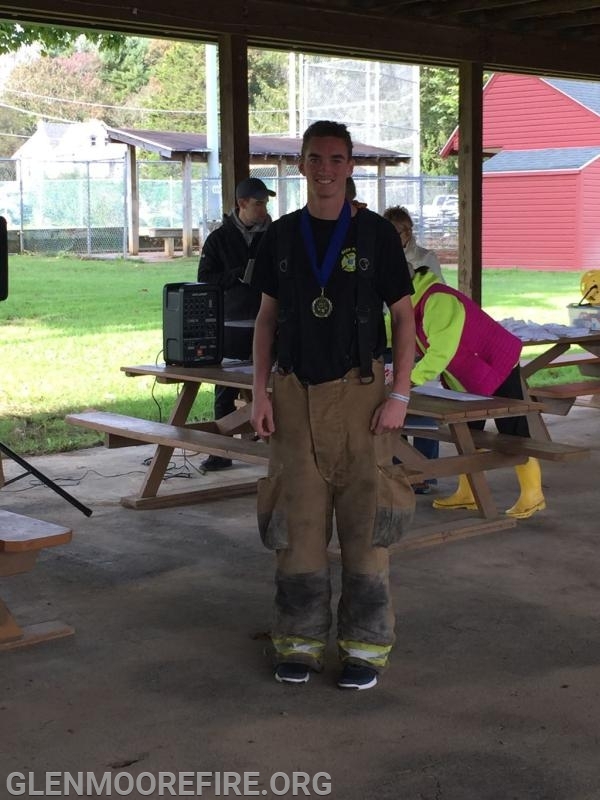 GMFC Firefighter Eric Ashenfelter finishing the 5K. 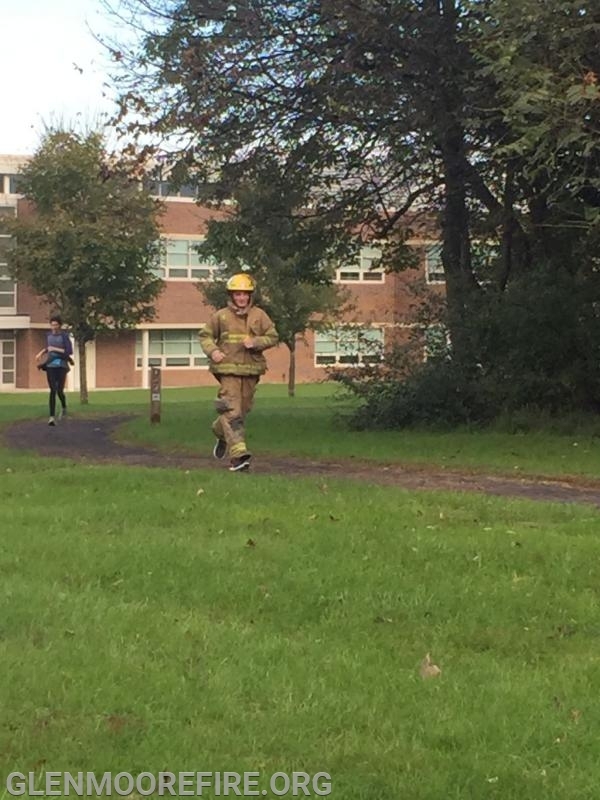 GMFC Assistant Fire Chief Andy Chambers crossing the finish line. GMFC Firefighters Matthew York & Anthony Bocchicchio and Junior FF Nicolas DiPaolo crossing the finish line. 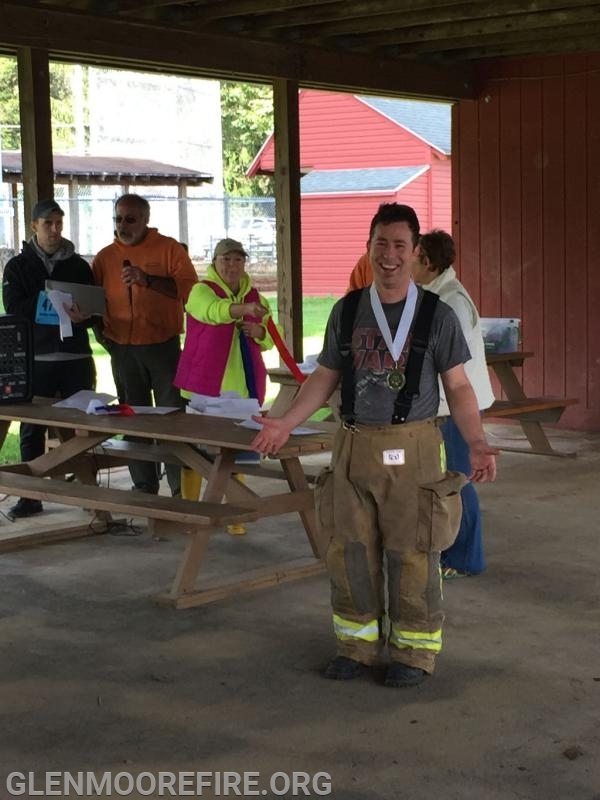 Firefighter Eric Ashenfelter collecting his medal. GMFC Member Paul Beideman collecting his medal. 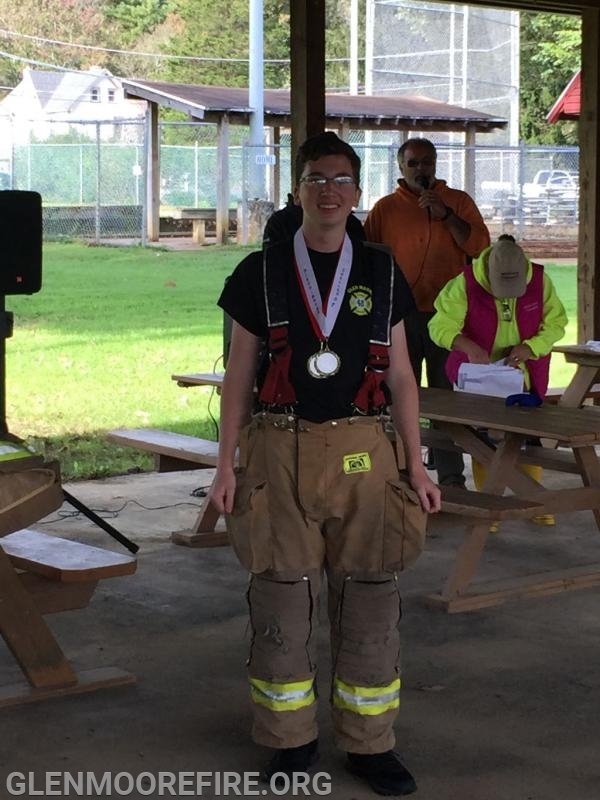 Junior Firefighter Nick DiPaolo collected two medals. 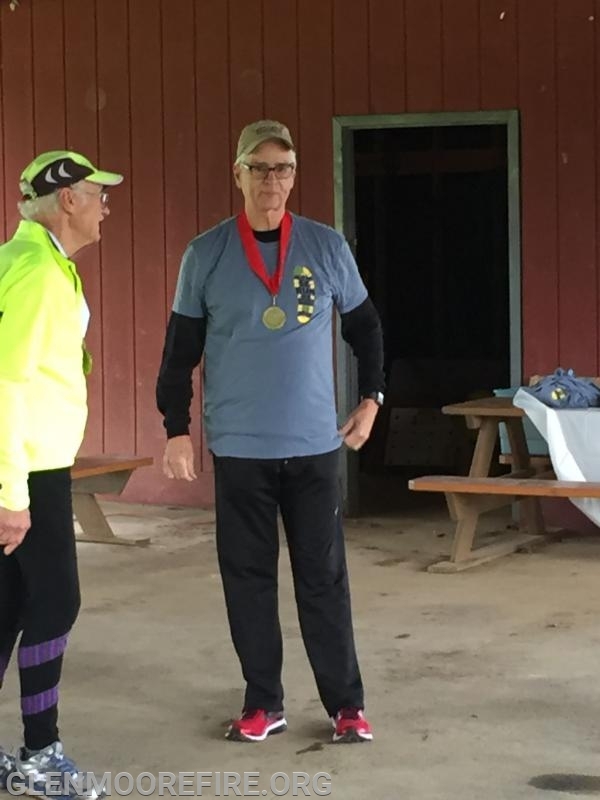 Chaplain York with his medal. 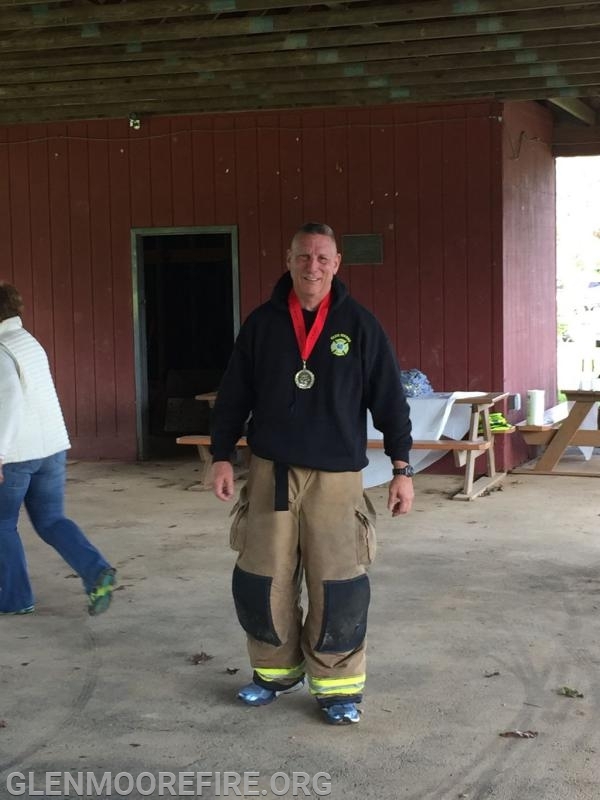 Assistant Chief Andy Chambers taking second place in the fitness challenge.